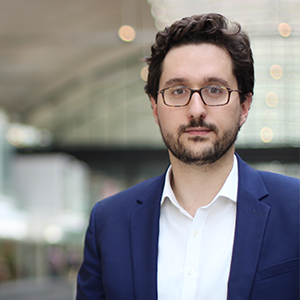 Antonin CAORS is the director of the Cybersecurity program run within the StationF ecosystem and led by Thales. With an engineering background from École polytechnique, he has spent the last 10 years powering Thales’ innovation system, from growing nanotubes in a lab to new product line creation, R&D strategy, or the building of an international network of consultancies focused on user-centric innovation. Antonin is keen on exploring and experimenting with new ways of creating value, and in his spare time is a seasoned tenor as well as a relentless maker.